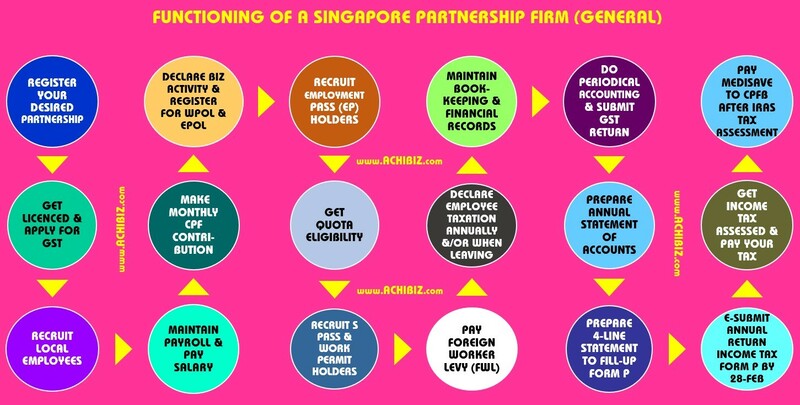 Singapore Citizen or Singapore Permanent Resident can register a partnership with one or more partners. These partners jointly manage the company’s day-to-day operations and share responsibility for its debts and liabilities. Each partner contributes to the partnership — both financially and in sweat equity — and shares in the company’s profits and losses. 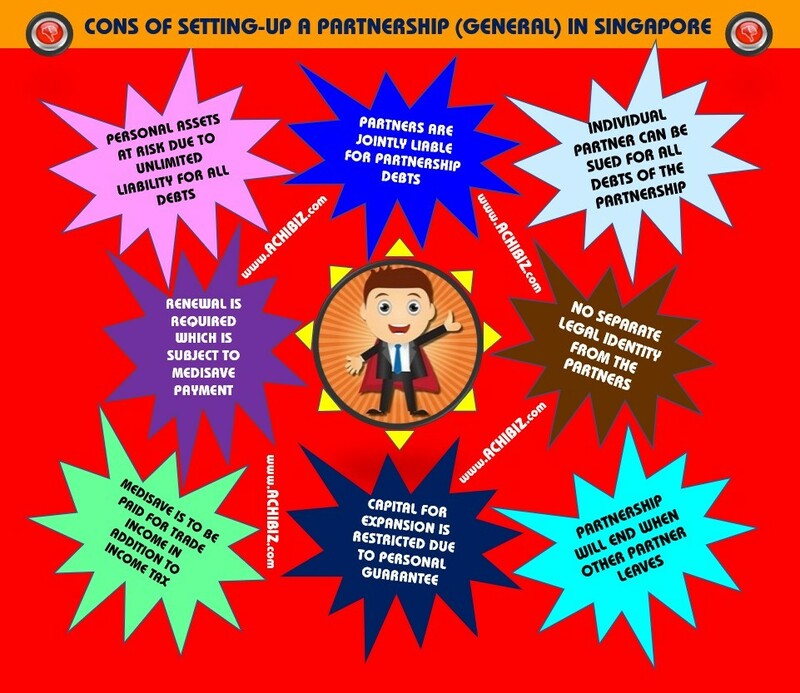 A partnership consisting of foreign individuals or persons will not be registered by the Registrar unless there is a Singapore local resident manager. A partnership is not a legal entity such that the partnership has to sue or be sued in the names of the partners. The liability of each partner is unlimited. The advantage of operating a partnership is that disclosures of financial statements to the general public are not required. Losses incurred by such businesses can be set off against other personal income such as interest, rental and dividend as well as employment income (if any). Partnerships face fewer statutory controls than companies. There is no requirement to audit or publish accounts or to register the Partnership Agreement. No returns are required to be made by partnerships, except for income tax. The internal structure of partnerships is very flexible. 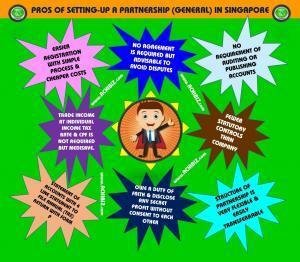 Most of the rules for the structure of partnerships can be overridden if the partners agree otherwise. Partnerships can be simple and cheap to set up. There is no requirement to have any written documentation, although a Partnership Agreement is advisable (see above). Partners owe a duty of good faith to each other. 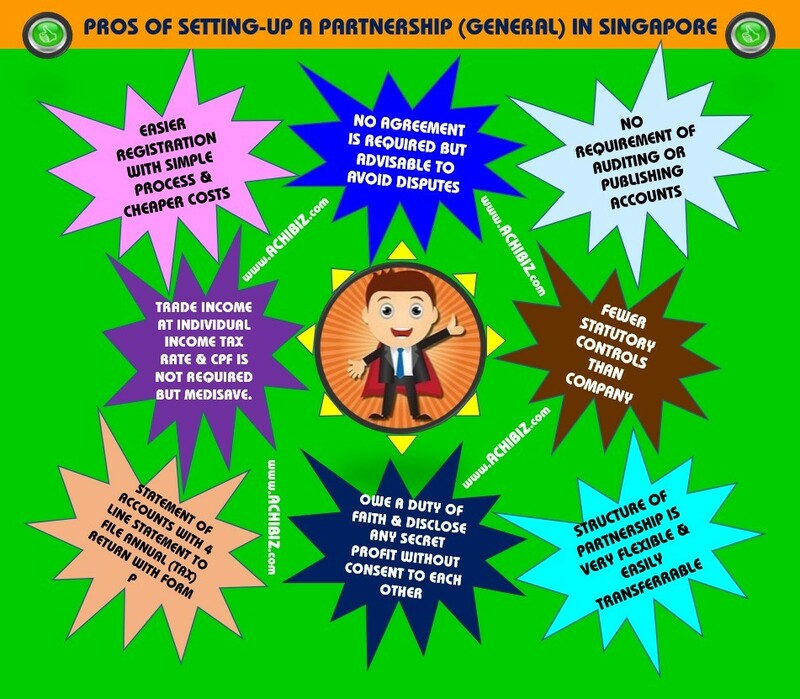 Partners must also account to the partnership for any secret profits that they make from the partnership without the consent of the other partners, including any profits gained from any competing business. Partners face unlimited liability for all the debts of the partnership. This means that the personal assets of each partner are at risk. 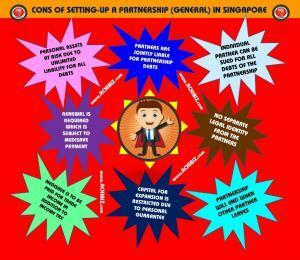 Partners are jointly liable for partnership debts. This means that if one partner fails to pay his share of the partnership debt, the other partners must make up the shortfall. Any individual partner can be sued for all the debts of the partnership. 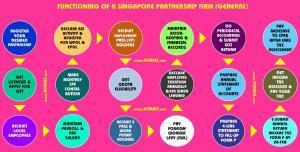 The partnership does not have its own separate legal identity from the partners. Therefore, unless otherwise agreed, the partnership will come to an end each time a partner leaves. The avenues available for access to further capital for expansion are restricted by the amount of security that can be given personally by the individual partners. Please CONTACT us if you wish to know more about this service or many other related services.